It’s Fall! Officially the season of fuzzy sweaters and CHEESE. It’s the most wonderful time of the year because you get to eat ALL the cozy foods without people looking at you like you’re crazy. If they do, just tell them you’re working on your winter body. Winter body is totally a thing. You need a little bit extra to keep the cold out. If you’re looking to bulk up, I’ve got just the thing for you: warm and gooey cheese pull friendly Mexican 4 cheese queso. I’m obsessed with queso/chile con queso/queso fundido. It’s kind of sort of like nacho cheese – you know, that melty gooey neon orange stuff they pump onto tortilla chips at the movies. But it’s nacho cheese at all. Heehee, get it, not your cheese? Eye roll. Anyway, all that nacho cheese and queso have in common is that they’re melty. Because queso is real deal cheese, stirred into a gorgeous white sauce flecked with garlic, onions, and tomatoes. It’s so incredibly dippable and fun! 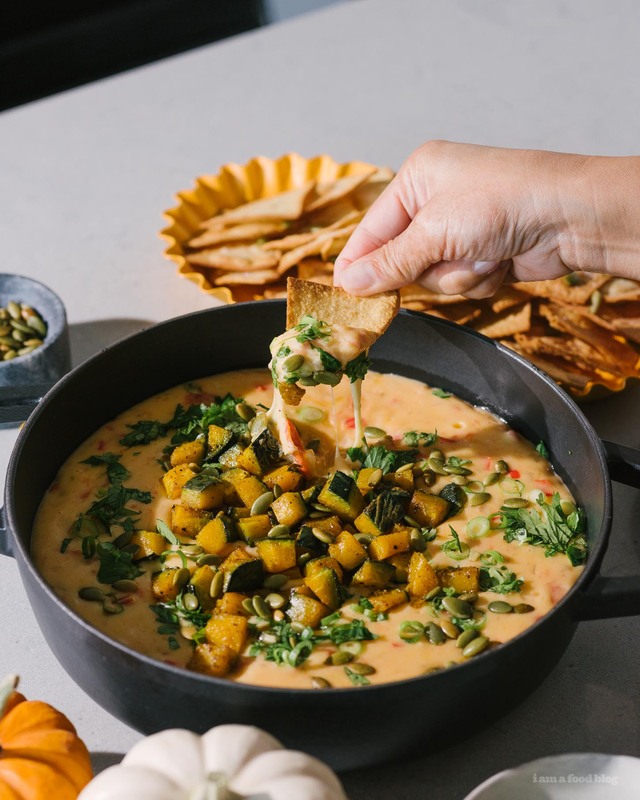 My queso quest has gone far and wide and whenever I see queso on the menu at a restaurant – which isn’t very often, I think I’m visiting the wrong kind of restaurants – I have to have it even though Mike is totally indifferent. How it’s possible to be indifferent to melted cheese I don’t know, but ultimately that means more for me so I’m not really complaining. 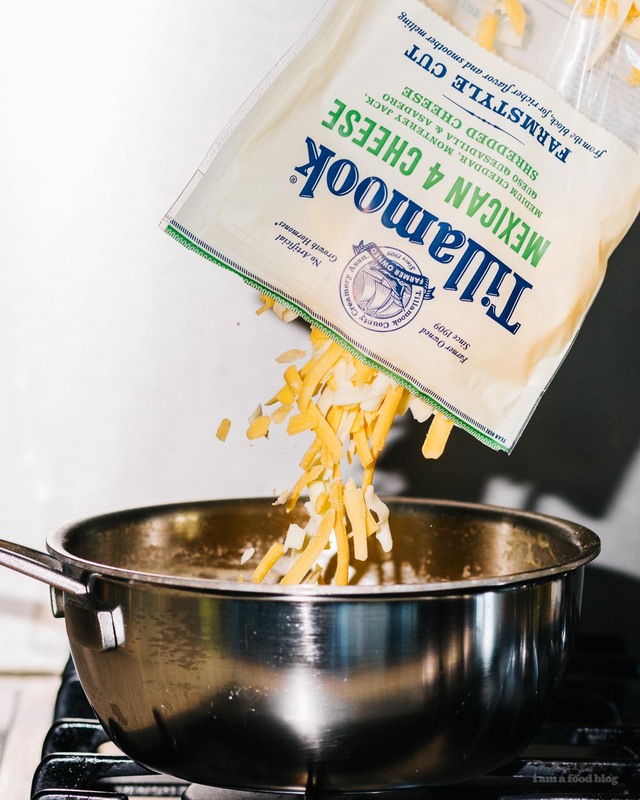 And the great thing about queso is that it’s super easy to make – it’s essentially a cheese sauce, like the kind you make for mac and cheese. 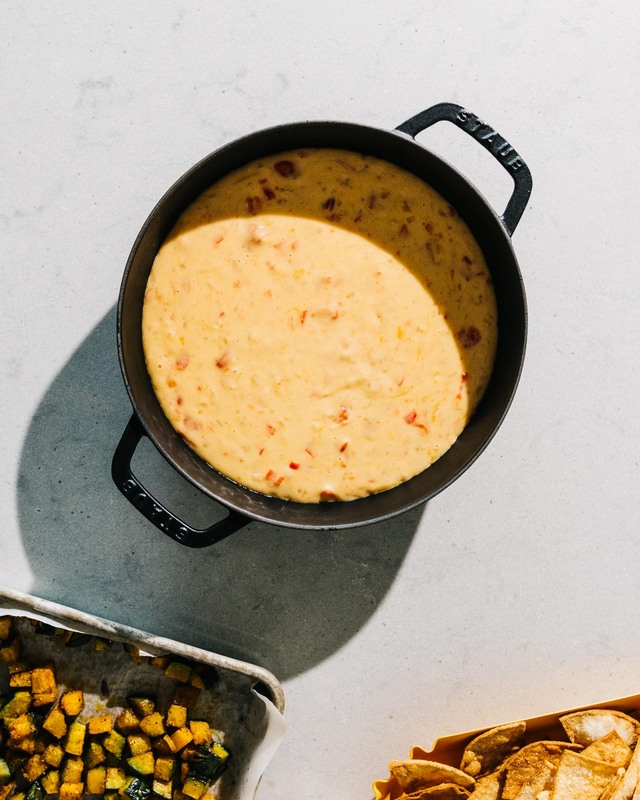 This particular recipe takes a little time, especially because this is an ultimate queso, but trust me, it’s worth it. Plus, if you’re in a hurry, you could skip out on the meat layer and the roasted pumpkin. 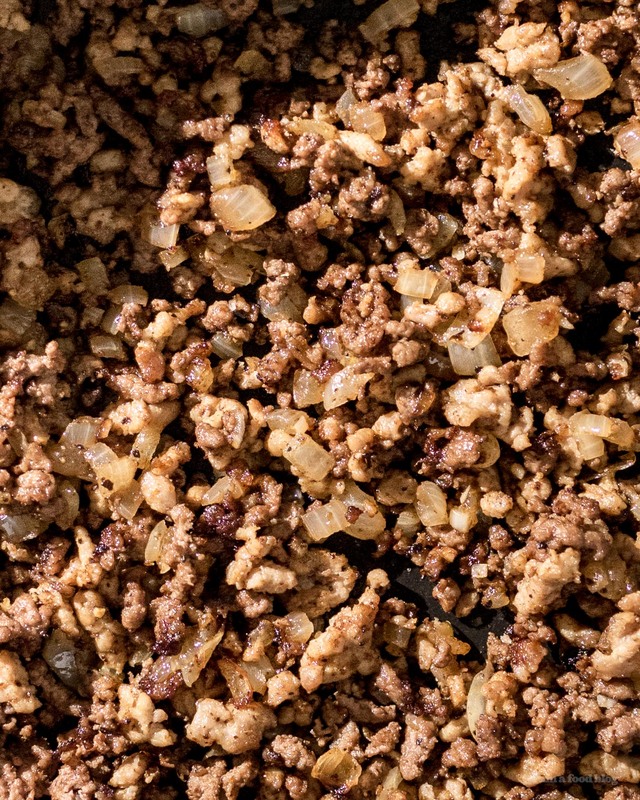 Personally, I think the roasted pumpkin and picadillo (minced meat layer) add a bunch of fun textural contrast, but do what you gotta do, melty cheese waits for no one. But, if you do go this route, you won’t regret it! I love the festive feel the roasted kabocha gives. 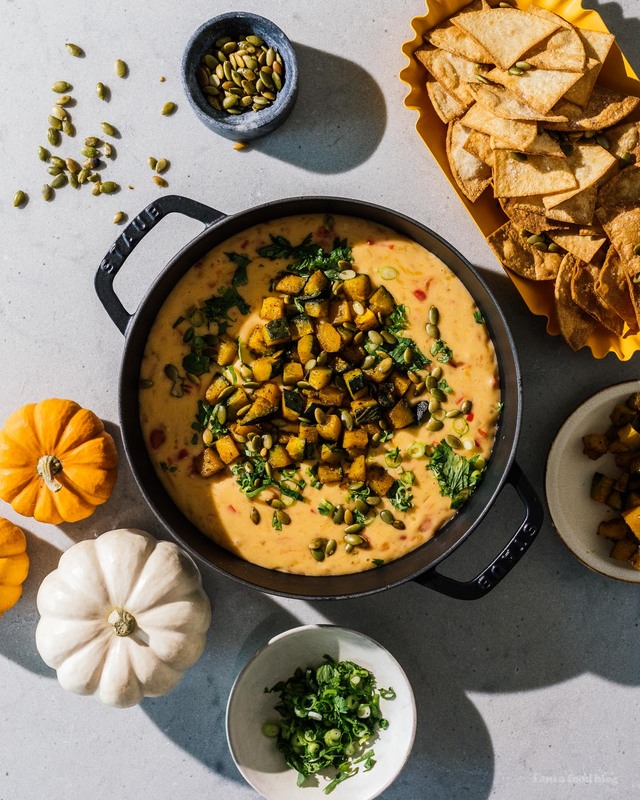 It’s perfect for a fall party, even more so because you can make it the day before, then just heat it up and layer it right before you serve it. You can use any cheese you like as long as it melts well. I went with Tillamook Farmstyle Cut Mexican 4 Shredded Cheese because their taste and meltability is on a whole other level. They are grated from giant 40lb blocks of really tasty hormone free cheese. Put your zip code in here to find out where you can get them locally! 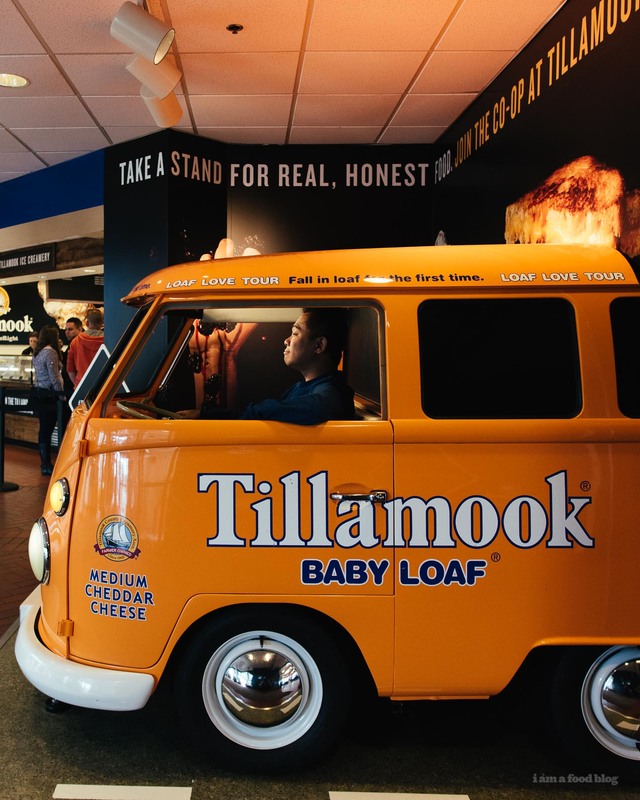 Fun fact, Mike and I actually stopped at the Tillamook Creamery on our own (like no sponsorship or invitation or anything) because we love their cheese so much. Whatever you do, don’t skimp on the cheese! Happy Fall friends! Cheese pulls for everyone! Heat the oven to 400°F. Toss the kabocha with the butter/oil, spices, and salt and pepper. Spread out in a single layer on lined baking sheet. Roast until tender and brown, stirring occasionally, about 20-25 minutes. Remove from the oven and set aside. 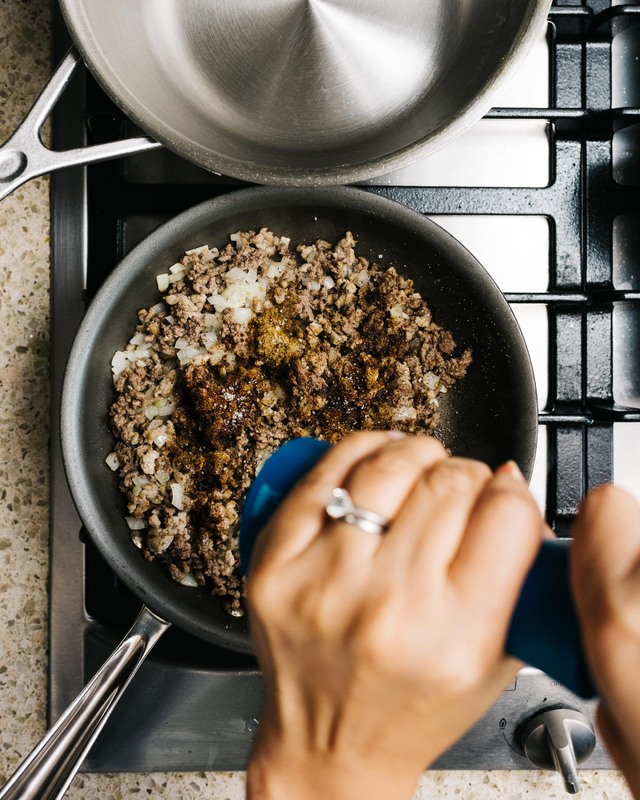 While the kabocha is cooking, make the picadillo: heat up a bit of oil in a heavy bottomed pan over medium high heat. Add the onion and garlic and cook, stirring, until soft but not brown. Stir in the meat and brown, breaking up with a spoon. Season with salt and pepper, cumin, and chili powder. Taste and adjust seasoning and set aside, keeping warm. Make the queso: in a heavy bottom pan, melt the butter over medium heat. Add the onion, peppers, and garlic. Cook, stirring, until soft but not brown. Add the tomatoes, season with salt, and cook until the tomatoes have broken down and almost all of the liquid is evaporated, about 5-6 minutes. Sprinkle on the flour, stir and cook for 1-2 minutes. Slowly stream in the milk while whisking. Bring to a gentle boil, stirring, until the sauce thickens and bubbles. 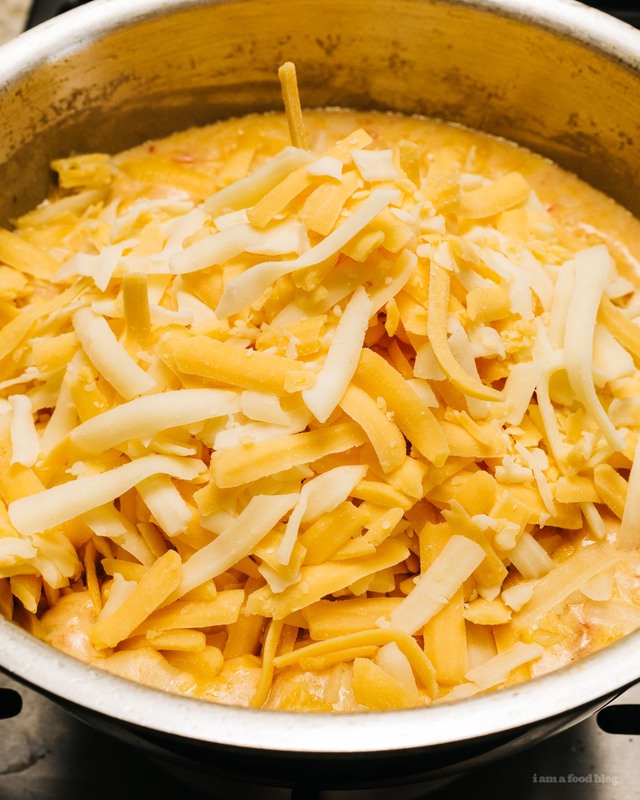 Remove from the heat and stir in the cheese until smooth and melted. If thick, add a bit more milk to thin it out. Spread the warm picadillo in a 2 quart baking dish. Pour the hot queso over the meat then top with the roasted kabocha, green onions, cilantro, and pepitas. Serve hot with tortilla chips! Note: You can make this vegetarian by completely skipping out on the picadillo! 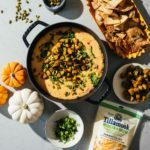 We partnered with Tillamook Cheese to bring you this post, but all opinions are our own. Thanks for supporting iamafoodblog!